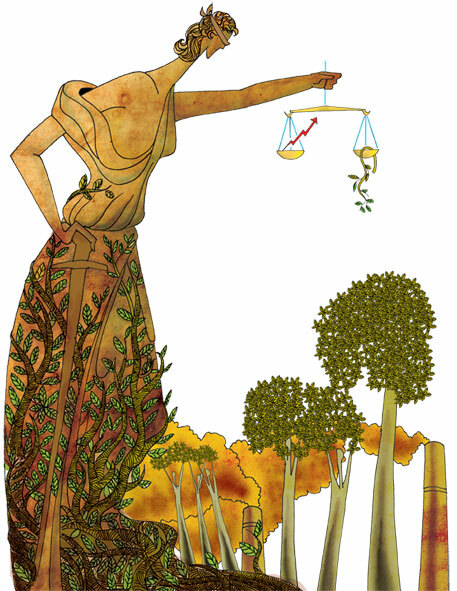 It has been four years since the National Green Tribunal (NGT) Act was passed by Parliament for effective and expeditious disposal of cases relating to environmental protection and conservation of forests, and also for giving compensation to the victims of environmental damage. In the corridors of the Ministry of Environment, Forests and Climate Change (MoEF&CC), growing frustration is evident against NGT. In hushed tones, officials speak about the tribunal’s clamour to get more powers and perks. They call it a “power-hungry institution” that has failed the purpose for which it was created. They talk about unrealistic judgements given by NGT to the ministry and other government departments. They also cite the backlog of cases in NGT as another reason for the institution’s failure to address environmental matters. In the four years since it was formed, much has transpired between NGT and MoEF&CC. NGT has, in many cases, reprimanded the ministry for being absent during hearings. For a month-and-a-half, at the end of 2013, no counsel from MoEF&CC appeared before NGT. The body fined a few officials from the ministry and went to the extent of cautioning its secretary that he would be compelled to pay heavy costs for cases adjourned without any justification. The ministry has repeatedly contended that NGT has been overstepping its jurisdiction. In fact, in an affidavit filed before Supreme Court, MoEF&CC’S deputy secretary during the previous regime labelled NGT’S conduct an “embarrassment” to the government in Parliament. The affidavit drew heavy criticism from Supreme Court, which termed it as “nonsense”. The then Solicitor General, Mohan Parasaran, later disowned the affidavit. Lately, there have been many media reports talking about a likely amendment of the NGT Act, by which the institution was formed, to possibly put a “check” on its powers. But does NGT need to be reined in or do we need to give it more powers? How has it fared on various counts? 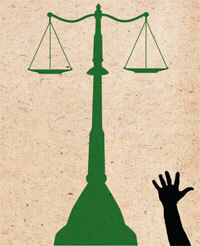 A fundamental problem facing the judicial system in India is speedy disposal of cases. The problem is even more pronounced where environmental issues are concerned. A study done by the Delhi-based Centre for Science and Environment (CSE) on the status of cases filed by the state pollution control boards showed that as many as 96 per cent, 76 per cent and 55 per cent of cases filed by Chhattisgarh, Odisha and Karnataka boards respectively, were pending in the lower courts. In the three-and-a-half years since its establishment, NGT has done much better. It had 6,017 cases instituted and 3,458 cases were disposed of—a rate of about 60 per cent, as of August, 2014 (see graphics). According to lawyer Ritwick Dutta, who is also a member of NGT’s Bar Association, it has been successful in speedy and effective settlement of environmental matters. “When compared to the high courts regarding the handling of environmental matters, NGT has been a much better institution,” says Dutta (see ‘High Courts v NGT’). The high court would normally not earmark more than three hearings in a year for an environmental matter. NGT, on the other hand, is much more regular in scheduling hearings, typically with time gaps of two to three weeks between two consecutive hearings. Perhaps, this promptness in deliberating over cases is reflected in the increasing number of cases being settled by NGT. “This has also created optimism in the community regarding decisions of environmental dispute,” says Sudeip Srivastava, an activist and lawyer from Chhattisgarh. 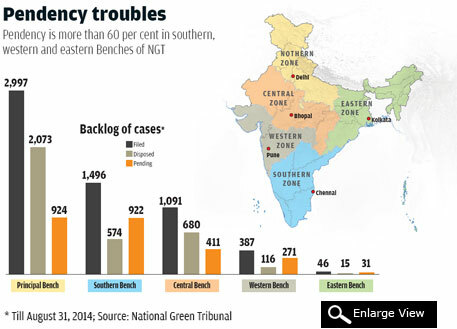 Before NGT, high courts in different states used to take up important environmental cases, including suomotu ones through "green" Benches. While some, in Tamil Nadu, West Bengal and Karnataka, remain active, others are slowly dying down, as environmental matters now go to NGT. According to environmentalist SubhasDutta, the green Bench is likely to become non-functional in the near future. However, conflicts are brewing between NGT and the high courts. As per the NGT Act, appeals from NGT can only go to the Supreme Court, thus by-passing the high courts. But the Madras High Court has disagreed with this provision. It has stressed that the bar imposed on lower courts by the Act, excluding them from deliberating on environmental cases, does not extend to the high courts. This is because the jurisdiction of a high court under Article 226/227 of the Indian Constitution is part of the Constitution's basic structure. In other words, the court stressed that environmental appeals from NGT had to go to the high court first before going to the apex court. The attitude of other high courts in this matter is not consistent. In June 2014, the Bombay High Court ordered an appeal from NGT be sent to the apex court. The issue is now pending before the Supreme Court for clarification. 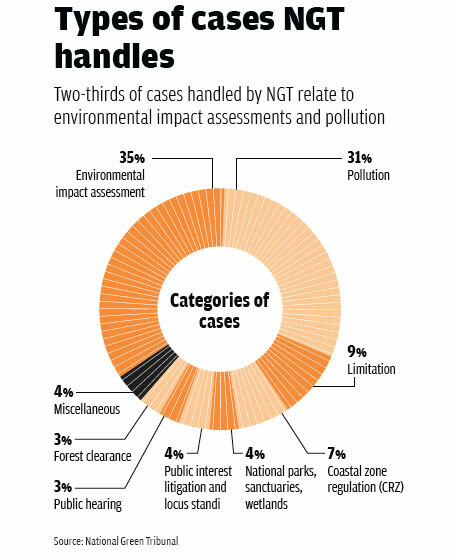 Despite the high percentage of cases being disposed of, there is also an increasing backlog of cases in NGT. Till August 31 this year, 2,559 cases-about 40 per cent of all cases-were pending before different Benches of NGT. The pendency was more than 60 per cent in the southern, western and eastern Benches. At the principal Bench, the pendency was about 30 per cent. The pendency indicates both the resources available at different Benches and the number of cases filed. All zonal Benches are handled by just one judicial and one expert member. 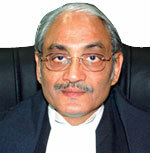 The principal Bench, however, has four judicial members, including the chairperson, and six expert members. The number of cases being instituted each year is also increasing phenomenally. The number of cases filed has increased from just 548 in 2012 to 3,116 in 2013 to 2,348 in the first three months of 2014. This has put enormous pressures on NGT. This also reflects an increasing environmental crisis in the country and a growing trust people have in NGT. NGT targets to dispose of cases within six months. It has been broadly successful in achieving this aim. However, there have been some high profile cases where NGT has not been able to deliver on time. Activist Ramesh Agrawal from Chhattisgarh, who was recently awarded the Goldman Environment Prize, also called the “Green Nobel”, commented that NGT has not always been able to grant speedy justice. He cited the case of a 2,400 MW power plant in Tamnar, Chhattisgarh, owned by Naveen Jindal, industrialist and former member of Parliament, the environmental clearance of which he had challenged. The case has been with NGT for almost two years now. Another case in point is Singrauli. The case relating to pollution problems in central India’s Singrauli district due to coal mining activities and thermal power plants came under NGT’s scanner in September, 2013, following a petition filed by Ashwani Dubey, a lawyer and resident of Singrauli. NGT has been hearing the case for over a year now. No conclusive judgement has been passed till date, though most past studies have shown that Singrauli is a critically polluted area. NGT is a body composed of judicial and members with expertise in the field of science and environment. It is so because judicial members were not trained to understand the complexities involved in environmental cases due to the nature of questions often raised in the court of law. Lately, questions have been raised about the soundness of judgements passed by NGT. “We have heard that because of judicial heavyweights in NGT, views of technical experts are not being considered,” says an official of the Gujarat Pollution Control Board. A Madhya Pradesh Pollution Control Board official seconds him: “NGT judgements lack in technical aspects”. However, the above views are not universally accepted. D Stalin of the Mumbai-based NGO ‘Vanashakti’ had filed a petition with NGT regarding pollution in Mumbai’s Ulhasriver. “In September this year, NGT ordered that no sewage or effluents were to be allowed to flow into the drinking water zone of the river and ordered Rs 20 crore to be deposited by the Brihanmumbai Municipal Corporation for sewage treatment plants,” he says. “NGT’s functioning is perfect. Environmental cases are handled very differently by it, based on technical points and points of relevance, not on the submissions of senior counsels who come to court and throw their weight around. The bench is technically competent and does not allow environmental issues to be subverted. They also resolve issues fast,” says Stalin. NGT’S critics have also questioned the “lack of environmental finesse” of its expert members. “Usually, the expert members are experts of one particular field and not of environment as a whole. For instance, an expert member who has been working on forests for many years would not be able to comprehend the issues arising out of industrial pollution. Thus, the judgements are vague and not relevant in some cases,” says an Odisha Pollution Control Board official. Many have also questioned some NGT judgements, for instance, the one dealing with the Okhla Bird Sanctuary in Noida. In September 2013, NGT’S principal bench gave an order that stopped all construction within a 10-kilometre (km) radius of the sanctuary because the government had not notified the eco-sensitive zone around it at that time. The order stopped constructions only in Uttar Pradesh, but inexplicably didn’t do so in parts of Delhi which fall within the 10 km radius. Many have criticised the selective and “judicial” nature of this judgement. Similarly, in a case filed against a coal-based thermal power plant in Cuddalore in Tamil Nadu, NGT first asked the company to undertake a cumulative environmental impact assessment because the plant was being developed in an area where many more industries existed and were planned. But in the next hearing, NGT asked the company to do a “rapid cumulative impact assessment” following the developer’s contention that a comprehensive cumulative impact assessment would take time and delay the project further. A cumulative impact assessment is supposed to be a much more elaborate exercise and by fixing a time limit and terming it “rapid”, this NGT judgement practically set a precedence for ineffective cumulative impact assessments in the future. But in general, lawyers and petitioners support NGT’S judgements. “NGT is a Constitutional body created for environmental cases alone, with technical members on every bench. This allows cases to be heard on environmental merits as opposed to only legal grounds in any other court,” says Cyriac Kodath, an activist fighting against the Vizhinijam seaport project in Kerala. More than 50 per cent of the cases filed in NGT relate to green clearances awarded by MoEF&CC to development projects. Cases have been filed, challenging the decisions of the government in awarding clearances and against its conducting public hearings properly. Opinion is divided on how NGT has dealt with cases related to green clearances. Lawyer Dutta says that it has created a deterrence impact and even MoEF&CC is today afraid of it. According to him, for the first time in India, while granting a clearance, the ministry is undertaking extensive deliberations and giving reasons for its decisions. Activist Agrawal thinks otherwise and says that most of the cases are merely being sent back for fresh review by the ministry. A quick review of the judgements of NGT shows that there have been some cases where clearances have been quashed. These include the clearances to Aranmula Airport Project in Kerala, the coal-based power plant in Chhattisgarh’s Korba district, mining activities in Sacorda, Goa, and the Jindal Gare project in Chhattisgarh. However, in most cases, NGT has asked for fresh review. Often, a review of the entire process of granting a clearance has led to the imposition of additional conditions, which has led to delays and, in some cases, affected the financial viability of projects. Lawyer Srivastava thinks that in cases where NGT is sending projects for re-evaluation, some part of this re-evaluation could be done by the expert members of NGT itself as this will allow the ministry to review the project more seriously. There have also been cases where industries have been fined heavily on the basis of the “polluter pays” principle. In the case of “Krishan Kant Singh v National Ganga River Basin Authority & Others”, filed by Hapur resident Krishan Kant Singh and environmental NGO Social Action for Forests and Environment (SAFE), the issue of pollution of the river Ganga by Simbhaoli sugar mills and distillery unit and Gopaljee Dairy Pvt Ltd was raised. NGT recognised that the two industrial units had been polluting the river for many years. It directed Simbhaoli to pay Rs 5 crore and Gopaljee Dairy to pay Rs 25 lakh to the Uttar Pradesh Pollution Control Board for restoration of the environment and remedial measures. Anis Jalal, president, Sagar Shramik Haat Pati Vaalu Utpadak Sahakari Sanstha, a union of manual sand diggers from Maharashtra’s Raigad district, says NGT’s June 2014 judgement banning mechanical sand mining has been a beneficial one for manual sand miners. “Since the judgement, dredgers have stopped operating and manual sand miners are again getting permits for mining,” he says. NGT may be a fine institution but is its justice available to everybody? This was discussed when the NGT Act was being debated in Parliament in 2010. Many parliamentarians expressed the opinion that as NGT would take over the powers of the lower courts, people would not have local access to justice. This would be most disadvantageous to economically weaker sections of society as they would not be able to use the more than 13,000 district and subordinate courts to address environmental disputes. In Jharkhand’s Chaibasa district, the Bindrai Institute for Research Study and Action (Birsa), along with the Occupation Health and Safety Centre (OHSC), has approached NGT over abandoned asbestos mines at Roro in the same district. The mines were once operated by the Birlas. Puneet Minz, Birsa convener, points out that their role was to make people aware of the harmful effects of asbestos but only activists in metro cities could approach approaching NGT over the issue. “We do not have much knowledge about NGT. For a tribal activist based in a remote location, it is extremely difficult to travel to Kolkata and find accommodation there,” he says. Perhaps the strongest and most simple critique about NGT’s inaccessibility comes from Dayamani Barla, a tribal leader who has led campaigns against displacement and mining. “I do not know about NGT,” she laments. She questions why someone should travel all the way to Kolkata to fight a legal case. “A green tribunal should have been based in a place that has the highest forest cover or large mineral deposit. That is where the dispute is and that is where the extremely poor live,” she says. NGT has been accused of overstepping its jurisdiction and taking actions for which it has not been empowered under the NGT Act. Three issues have frequently cropped up. First, does NGT have powers to take cognisance of a matter on its own and take action upon it-the power of suomotu. Second, can NGT review and direct change in rules and regulations-the power of judicial review. Third, can NGT take up any case which can be termed as “substantial question of environment”. The NGT Act refers to the scope of NGT’s jurisdiction in Sections 14, 15 and 16. Section 19 states that the tribunal can determine its own procedure and this provision has been used by NGT to include within its ambit issues that the NGT Act does not authorise it to adjudicate upon. In the past, NGT has taken up cases on its own motion (suomotu). In Himachal Pradesh, the tribunal took up issues relating to the adverse impact of heavy and unregulated tourism in the Rohtang Pass area. The tribunal issued a long order with many directions. The ministry had been constantly reminding NGT that taking up suomotu cases is not within its jurisdiction. In India, suomotu jurisdiction is limited to superior courts like the Supreme Court and the high courts. According to ministry officials, NGT in the past has written to them to give it suomotu and contempt power, both of which were denied. The Madras High Court restrained NGT from exercising suomotu jurisdiction. What do you think about it? Suomotu jurisdiction has to be an integral feature of NGT for better and effective functioning of the institution. In the Constitution of India, the high courts also have not been exclusively conferred suomotu jurisdiction. However, the high courts have been exercising the same. There are some inherent powers which are vital for effective functioning and suomotu jurisdiction is one such power. Sanjay Parikh, Supreme Court lawyer, though wants NGT to have suomotu powers, thinks statutes must be changed for this. The issue of suomotu jurisdiction, which remained a grey area for quite some time, was addressed by the Madras High Court in early 2014. The court clipped the wings of NGT by passing an interim order which stated that it has no suomotu powers. After this order, NGT has refrained from taking up cases suomoto. The ministry has been quite upset with NGT for bestowing upon itself the power of judicial review. NGT has bestowed upon itself a wide ambit of jurisdiction in the name of “ancillary and inherent powers necessary in the interest of justice”. The tribunal held that it is a specialised body and has a procedure of its own (Section 19), which gives it power to adjudicate on issues where judicial review is required. In a case filed by Pune-based NGO Kalpavriksh (“Kalpavriksh& Others v Union of India & Others”), challenging the qualifications of expert appraisal committee members who recommend environmental clearances for projects under the Environmental Impact Assessment Notification, 2006, NGT invoked the power of judicial review and directed the ministry to revise the qualifications and experience in the notification. Supreme Court advocate Rajeev Dhavan believes that NGT is trying to acquire the powers of superior courts. “NGT cannot strike down a statute. It can only examine the decisions that are taken and consider if they are in compliance with the three principles laid down in Section 20 of the Act,” he says. Under Section 14(1) NGT is empowered to address all civil cases where a “substantial question relating to environment” is involved. It is alleged that this term is very ambiguous. NGT has, however, construed it very liberally and expanded its jurisdiction. In the Kalpavriksh case, the tribunal commented that the jurisdiction of NGT must be examined in the backdrop of the fact that the protection of environment has been raised to the pedestal of a fundamental right by the Supreme Court (Article 21 of the Constitution). Based on this, the tribunal held that “the jurisdiction of the tribunal is thus, very wide. Once a case has nexus with the environment, the tribunal’s jurisdiction can be invoked. Even cases which have indirect adverse impact on the environment can be considered by the tribunal.” Dhavan, however, thinks that although environment is a part of Article 21 of the constitution, NGT cannot use it to strike down any legislation/order. THE NATIONAL Green Tribunal (NGT) is performing well. Those who can reach it now believe that their cases will be heard speedily. Today, there is a fear among industry and environment regulators that some action would be taken if a case is heard by NGT. But there are many challenges that NGT faces and there are many issues that people have with NGT. The biggest challenge that people face is the access to justice. Access to justice is denied by two means in NGT: firstly, by the provision of limitation period and secondly, by virtue of NGT being located in only five big cities spread across India. Once the tribunal started operating, lower courts were barred from taking up environmental cases. Not that they were doing a great job, but the debarring of lower courts has meant that poor and disadvantaged communities living in remote parts of the country now have to go to NGT Benches in their respective zones to get justice. For a tribal trying to stop pollution from an iron ore mine in Bastar, this means filing and fighting a case in Bhopal. For a villager affected by oil pollution in Nagaland, this means coming to Kolkata and hoping to be heard quickly. This is neither easy nor affordable. Similarly, the NGT Act has put an unrealistic time limit in place for filing a case. The limit of a maximum of three months is akin to a denial of justice. If the right to clean environment is an integral part of the right to life in our Constitution, can this right be overlooked simply because someone missed the bus or because someone came to realise the implications of polluting activities a few years down the line? Both the above issues impact the poor and the disadvantaged the most. They are the worst sufferers of environmental degradation and now, their route to getting justice is being blocked. This must change, and quickly. At its end, NGT faces both perceptional and real challenges. There is a strong perception that NGT wants to hog more powers and that it wants to take on other government institutions. This has created an impression within various government agencies that NGT is riding roughshod over them. This perception can be highly damaging to the objective of effective delivery of environmental justice. NGT needs the support of various institutions to achieve this objective. It can’t operate in isolation. The other perceptional issue that NGT must correct is that it is taking up frivolous and anti-people cases. For instance, in one case, the tribunal’s principal Bench ordered the closure of 12 eating joints in Delhi’s Hauz Khas area for not having applied for consent to operate. It is a different matter that one needs to question the very basis for restaurants to take the consent of pollution control boards. But if this judgement of NGT were to be applied across the country, then we would have to effectively close down most restaurants. In another case, NGT took strong exception to the nailing of bus stop signs onto trees by the Delhi Transport Corporation. People are questioning how such cases fall under “substantial question relating to the environment”? NGT will have to guard against such decisions because it can lose the support of the public and policymakers. NGT faces some real challenges as well. First, we must strengthen it by giving it more powers and by investing in strengthening its infrastructure. Judicial review is an important power that must be given to NGT since there are a lot of problems with our laws. As NGT is dealing with these problems on a daily basis, only it can bring changes through case law. Similarly, we should include other environment-related laws within NGT’S ambit. These are required for effective delivery of justice and environmental protection. NGT also needs to put certain systems in place for transparent decision-making. It has started putting financial penalties on polluters, but so far, it has not come out with a guideline on this. NGT needs to establish principles and criteria to estimate fines, damages and compensation. It should also identify institutions and experts who can help it to scientifically estimate environmental damages/compensation/fines on a case-to-case basis. These will bring in objectivity in its judgements. There are “frivolous” cases being filed in NGT. The tribunal has recognised this issue and has fined some people for this. Since the locus standi has to be broad as environment as an issue impacts everybody, the NGT is likely to be used for vested and frivolous litigation. But it can borrow the strategy adopted by the high courts and the Supreme Court, wherein these courts have set conditions for the admission of a public interest petition and also established a PIL cell to sort out frivolous litigation at the source itself. The bottom line is that NGT has done well so far. But many improvements are still required to make accessible, speedy and effective resolution of environmental disputes a practical reality. For this, NGT must be strengthened and not weakened. On its part, NGT must put internal checks and balances for efficient and transparent delivery of justice. The reality of justice is important, but so is its perception. My analysis of about 1500 decisions and orders delivered by the National Green Tribunal (NGT) gave three simple insights: One, there is no decision that can be classified as truly irrational, Two, there is no decision that has failed to cure some environmental ill somewhere on the ground, and, Finally, there is no decision that has not made Pollution Control Boards to wake up and behave the way these institutions were designed in the law. In summary, NGT has indeed lived up to those expectations that many of us had when we advocated it's creation in the interest of environmental governance in India.